Nars is a brand I've heard so much about from blogging and youtube but I'd never actually tried any of their products until a couple of weeks ago (and I call this a beauty blog sigh). When in Brighton I may have made a slight detour to Space NK with my birthday money in hand to see what all the hype was about and treat myself to a new foundation after the shock of my Mac Studio Fix Fluid finally giving up on me (I was beginning to think that bottle had a never ending supply of product!). I went for the classic Sheer Glow foundation in the shade Mont Blanc which is the PERFECT colour match for me making me love this product even more! Having oily skin I was slightly worried that Sheer Glow would be a little too glowy and create a whole lot of shininess that I didn't want going on but so far this hasn't been a problem at all. I find the formula is perfect for blending to a really natural finish whilst still giving me enough coverage to mask those teenage blemishes and spots. Sheer Glow gives a medium coverage which is the sort of thing I like to use day to day but I think it could definitely be built up to more if you wanted. The only downside? It doesn't come with a pump! Not a huge issue but it's getting a little tedious pouring it out onto the back of my hand and then ending up spilling it on my dressing table (I am the definition of clumsiness). I'm sure for most normal people this isn't really the biggest problem and I should definitely just have remembered to buy a pump and all this drama could have been avoided. At £30.50 it's not the most affordable foundation out there but I would definitely recommend this as the best foundation I've ever tried. Formula, colour match and longevity all get a 10/10 from me. For anyone who read my birthday haul (you can find it HERE) then you will know I received the Bobbi Brown Full Coverage Face brush and oh my am I in love. First up, it's the softest brush ever. It's one of those brushes you just like to stroke across your face when you're doing your make up (just me? okay then) because it really is that darn soft! 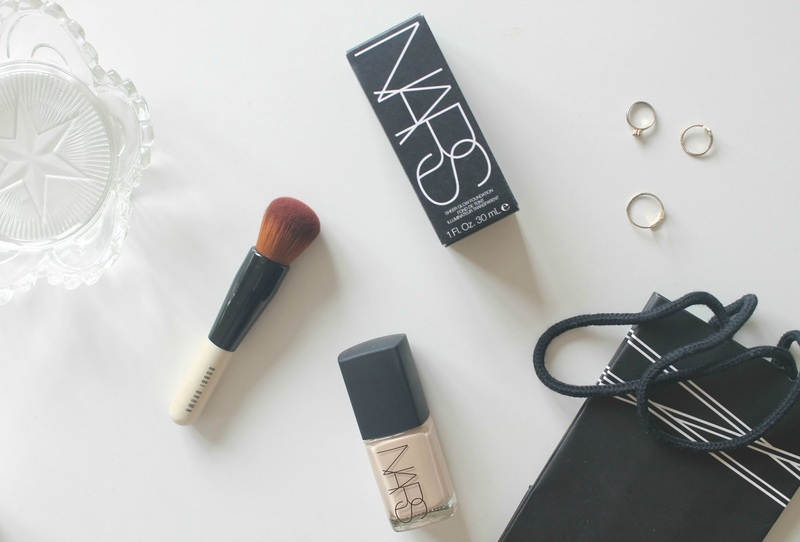 It applies my Sheer Glow foundation seamlessly and I just find that they're the perfect team! The brush itself is quite small but I find it buffs the product in perfectly creating a natural but flawless finish. Again at £30 it's definitely not the cheapest foundation brush around but I honestly can't recommend it enough! One to add to your wishlist (or Christmas list if you like to start writing yours in September like me) because it's definitely worth the price tag! Let me know which products you think work perfectly together!